Hilarious scenes in last night’s non-league clash between Hemel Hempstead and East Thurrock. 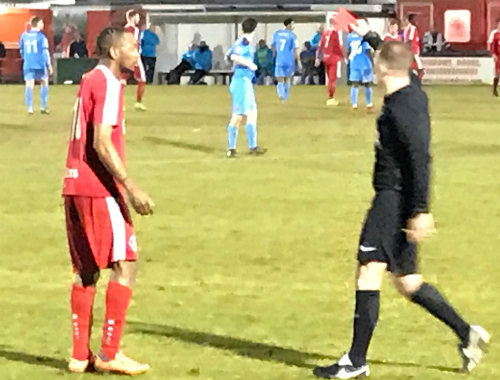 Referee Dean Hulme wanted to book ex Arsenal starlet Sanchez Watt, now playing for Hemel, and asked him for his name. Watt replied with “Watt” a number of times, but the referee mistook it for “What?” “What?“, and decided to give the player a red card for dissent!